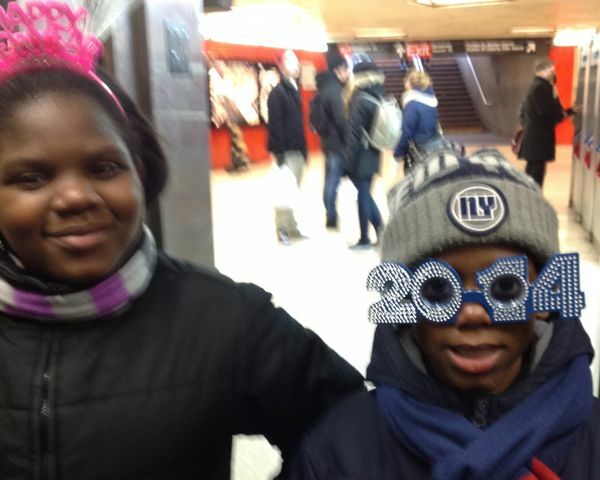 I met these kids on my way to my first gig of 2014 at the Staten Island Ferry Whitehall terminal. They were so cute with their 2014 glasses and hat, and their Mom allowed me to take this snap. Too bad I didn't get their names as they rushed for their train.